Product prices and availability are accurate as of 2019-04-24 20:22:25 UTC and are subject to change. Any price and availability information displayed on http://www.amazon.com/ at the time of purchase will apply to the purchase of this product. 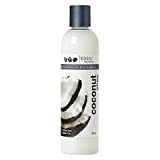 • Coconut Oil hydrates and protects hair while reducing breakage. • Silk Protein smoothes hair for a soft, silky feel. 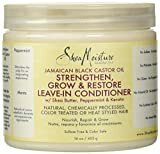 • Neem Oil controls frizz while adding brilliant shine. 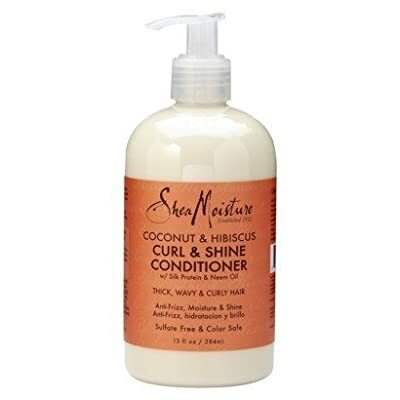 SheaMoisture Coconut & Hibiscus Curl & Shine Conditioner restores and smoothes dry hair cuticles. No more knots, snarls and tangles. This lightweight daily conditioner for thick, curly hair helps tame frizz as it defines and enhances natural curls. SheaMoisture's Coconut & Hibiscus collection blends exotic fruit and floral ingredients for radiant skin and hair. This island-inspired line remedies some of the most common--and troublesome--beauty woes including dull and dry skin as well as skin discoloration. Coconut Oil: Hydrates and protects hair while reducing breakage. Silk Protein: Smoothes hair for a soft, silky feel. Neem Oil: Controls frizz while adding brilliant shine. Quality you can trust from Shea Moisture. Always a great value! Shea Moisture Coconut & Hibiscus Curl & Shine Conditioner. W/silk protein & neem oil. Directions: Work conditioner through hair from root to ends. Leave on for 3 minutes, then rinse. For deeper conditioning, leave on for up to 15 minutes. As a leave-in, work a dime-sized amount through damp hair, then style as desired.